Getting to yes! The weekend of 17-19 October VVD international organized a negotiating training with (future) leaders of the Liberal party of Serbia, LDP. Mediation expert Felix Merks and VVD international toptrainer Kamran Ullah gave a three-day crash course in coalition negotiations, covering theory, cases, simulations and an extensive complex perspectives game. One of the highlights of the negotiating training was the Perspectivity game. After two days of intensive training, the game provided an amazing platform to bring all new knowledge into practice. The trainees were divided into two groups. In this game, where theory and practice met, the lessons learned over the weekend were not always put into practice. This provided great insights during the debriefing after the game had been played. 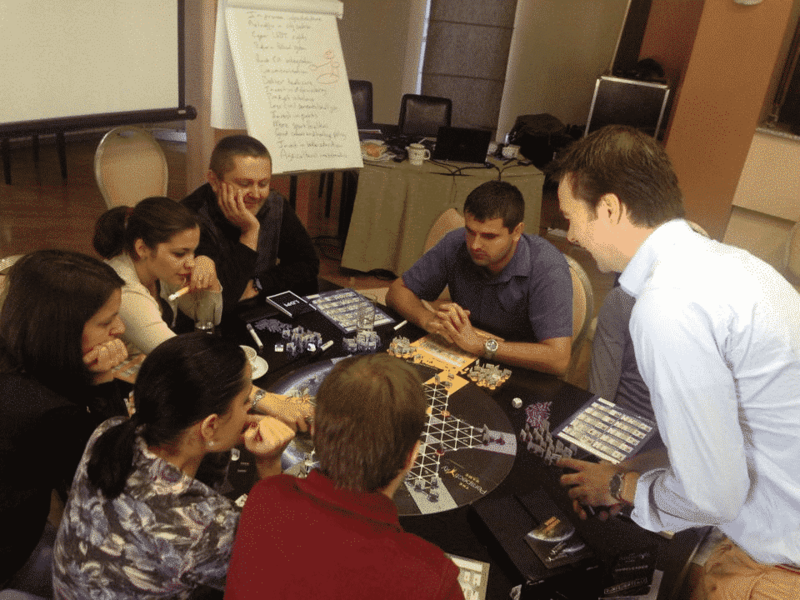 This feature definitely showed the added value of the Perspectivity game, especially as it was fun to play, kept people engaged after long training days and since it provided new areas for the participants to further develop their negotiating skills. VVD international is funded by the Dutch Ministry of Foreign Affairs to organize high-level trainings with sister parties across Europe and the Middle East.